Micro Spie Ambientali (4). Formato audio: Mp3 wav. 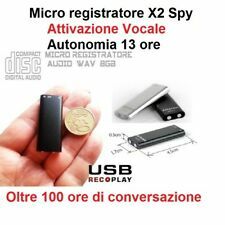 1 cavo ricarica usb. Iscriviti ora. 1 box originale. Cellulari e Smartphone (20). Mp3 Mp4 (10). Batterie (1). Avec lemagnétophone RQ-132USB,auna redonne vie à l’ère de la cassette audio. Votre matériau sonore peut être rediffusé soit via l'enceinte intégrée, soit via la sortie casque - idéal pour les heures tardives. Der Kleine ist in gutem Zustand mit Nutzungsspuren, komplett gereinigt sowie technisch überholt und abgeglichen. -AutoReverse - für Endlos-Wiedergabe. Der Klang ist top -kraftvoll, klar und super! Dolby B und C zur Rauschunterdrückung ist vorhanden. This Walkman WM-F8 is in near mint condition. The only flaw I can find is a tiny bit of white paint rubbed off on of the letters on the front. You have to look close to see it. There is no battery residue. Walkman SONY Recorder MZ-N510 un Minidisc sous blister recordable TDK 80. Ich biete euch einen hochwertigen High End Kassettenradiorecorder von AIWA an. kaum wahrnehmbaren Nutzungsspuren, komplett technisch überholt und abgeglichen. Der Kleine ist sehr selten in diesem sehr guten Zustand mit geringsten. I am the original owner of this Japanes made Aiwa HS-F1. 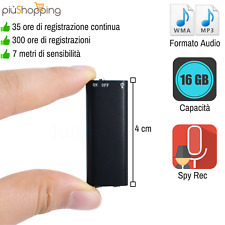 It can record by the built-in microphones or with line input. Vintage SONY WALKMAN WM-A10 Cassette Player With SONY MDR-006 Headphones Japan. Comes in condition shown, has some scratches, scuffs and marks. tested working. Comes with old school Sony MDR-006 headphones. Please feel free to ask anything or for more pics. Thanks for looking. Up to 32 hours extended battery life (continuous tape playback); 50 hours with radio. Sony Walkman WM-FX121 FM/AM Radio Cassette Player Walk Man. Still sealed in original packaging. Foam may be wearing off headphones from age. Package has some shelf wear, tears and light scratches. Ships fast via Priority Mail. Thanks so much for looking! Portable Cassette Tape Recorder Player. - Panasonic RQ-212DAS. Working Used Condition. Plays tapes fine. Microphone works. Includes black leather case. AM/FM Koss Portable Cassette Player with Auto Reverse PP112 Bass Boost Sealed . Condition is New. Shipped with USPS Priority Mail. Comes from a smoke free environment. Please look over the pics and feel free to ask questions. I ship within one business day of payment excluding weekends and holidays. FREE SHIPPING IN THE CONTINENTAL US. EBAY GLOBAL SHIPPING FOR INTERNATIONAL. Please contact me first before opening a case with eBay. Thanks for looking. Library of Congress Digital Talking Book Player DS1 for Blind Visually Impaired. Condition is new in open box. I Believe this is new unused. Plug and play 16GB. autonomia con una sola ricarica. CON UN'AUTONOMIA DI BATTERIA INTEGRATA ALL'INTERNO. AUDIO DIGITALE. audio continuo! Ti spediremo un’unità in sostituzione il più presto possibile. BEI SOFORT KAUF OHNE PREISVORSCHLAG LEGE ICH NOCH 3 GEBRAUCHTE SONY KASSETTEN MIT DRAUF. Zustand: Gebraucht. ALLE FUNKTIONEN SIND GETESTET UND FUNKTIONIEREN 100 % EINWANDFREI. ZUM VERKAUF STEHT DIESER GEBRAUCHTE SONY WALKMAN. AIWA HS-P505 MkII Smart Touch Walkman, Riemen neu, technisch überholt, läuft! Der Kleine ist in gutem Zustand mit wenig Nutzungsspuren, komplett technisch überholt. Somit kann der Kleine mit zwei klassischen AAA Batterien. Die Spannungswerte des. Alle Elkos (Kondensatoren) und weitere Verschleißteile wurden altersbedingt professionell getauscht. Micro Spie Ambientali (4). In Scadenza. Nuovi Arrivi. Iscriviti ora. 6 Key Cassette Recorder Black. The cassette player also includes a wire remote with 2.5mm jack and plastic handle for ultimate ease and efficiency. 1 x Cassette Recorder/Player. Built-in microphone for recording. Talk book TRC 1500. It is a mono player and recorder. The machine has been on a shelf for ages and I have changed the drive belt and play/record works but tape counter does not work. Casque de collection Sony pour Walkman. American Printing House For The Blind Table Top Cassette Tape Recorder Player! American Printing House For The Blind Table Top Cassette Tape Recorder Player! This item is in immaculate condition. It is like new, it looks like it was never used I tested it it works fine. it will rewind and fast-forward play stop eject etc. I also tested the battery because I unplugged the unit from the wall after some time and it still kept playing. The sound came out and was very easy to hear there is a speed adjustment. If you have any questions please ask I do fast shipping the same day payment has cleared. Outstanding condition! Tested today with 4 x AA batteries. All fantastic. Tried recording audio and it’s surprisingly clear! Pre recorded tape playback good. Ff, rewind, pause etc all good. Like it’s never been used. Speaker can go nice and loud. 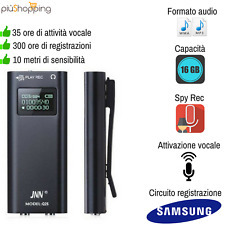 Comes with single headphone for monitoring recordings or playback. Instructions, polystyrene, box, all great! (PLEASE READ CAREFULLY)NOTE: SOUND JUST GOOD,BUT ONLY IN VOLUME « 8 » FOR STEREO SOUND !! !SCRATCHING IN VOLUME KNOB! USE CONDITION , WORK PERFECTLY. LEGENDARY WALKMAN ON 80’s.VERY RARE IN RED COLOR. SOLD ONLY PLAYER,NO ACCESSORIES ! LOOK CAREFULLY PICTURES FOR DETAILS.SOLD AS IT , NO RETURN.NO REFUND ! Thanks OTHER WALKMAN IN MY EBAY LISTING.THANKS FOR WATCHING. Micro Spie Ambientali (4). Formato audio: Mp3 WAV WMA. Iscriviti ora. 1 box originale. Casa Cucina (2). Specifiche tecniche Cellulari e Smartphone (20). Settare data e ora. Sanyo Walkman Micro Boom Box M-S200. - tape cassette deck plays, rewinds and forwards. - FM AM radio work. Don’t miss out! - handle intact and in good condition. - antenna fully extends. Der Kleine ist in sehr gutem Zustand mit Nutzungsspuren,technisch überholt und abgeglichen. Der Aiwa überzeugt vor Allem durch seine. Über ein externes Mikrofon oder dem eingebauten Radio kannst Du sofort aufzeichnen, die Pausenfunktion. Sony TCM-459V Personal Tape Cassette Recorder with VOR. Includes: Black Carry Case(s) 2 as shown. NEW Open box Sony AM/FM Walkman Radio Cassette Player/Recorder WM-F2041. Comes with accessories and instructions. Includes styrofoam insert. Box in fair condition and does have a few tears. Smoke free home. Sony EX-560 Kassette Walkman, Riemen neu, überholt, guter Zustand, läuft top!! Autoreverse für Endloswiedergabe. -Kassette abspielen. Der Klang ist wirklich spitze! Somit habt ihr einen tollen Begleiter, um die guten alten oder neuen Tapes abzuspielen. Weitere Verschleißteile wurden professionell getauscht. Schneider TR3605. Le magnétophone à cassettes sera bien protégée pour le transport. Vitesse variable. Contrôle de la vitesse par potentiomètre. Led de contrôle batteries. 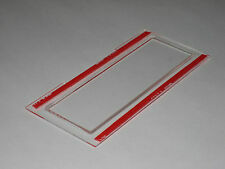 Fonctionne aussi sur piles (6 X1.5V non incluses). GE 3-5027A Personal Portable Tape Cassette Recorder / Player with AC adapter . Condition is Used. Shipped with USPS Priority Mail. This is aSony WM-FX483 AM FM Radio Cassette Tape Player Walkman. It is a portable handheld device that plays standard audio/music cassette tapes. It also has an inbuilt AM FM Radio. Includes radio tuner for use while commuting or at the gym. SONY WALKMAN FM/AM WALKMAN RADIO/CASSETTE PLAYER WM-FX493 - Tested & Working! SONY 3.5 mm Jack Adaptor Headphone Connector Cassette Walkman !! ON SALE ! !